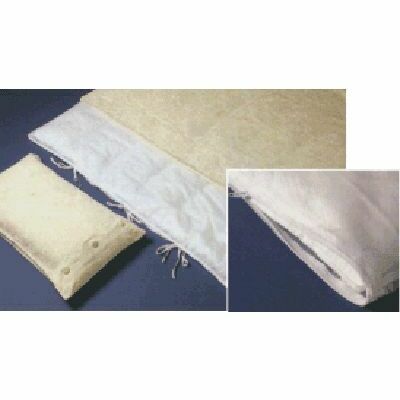 For residents including care homes, our Duvet (Quilt) Covers for Single Beds are an ideal bulk purchase to ensure the comfortable housing of your residents. Made from a lightweight PVC material with tie fastenings, each cover has been designed to protect the entirety of the duvet cover during use, extending its lifetime and reducing your replacement bills. The covers can be washed at 40oC - 60oC by hand or machine and are designed to be waterproof, anti-dust mite proof and flame retardant in accordance with the BS7175 standard. Why not take a look through our Waterproof Bedding options too and ensure you have every item required to create a homely oasis for every single one of your residents.